If you have anything we can do for you ,Please contact us ,We will reply you ASAP within 24 hours. 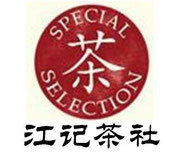 We provide tea samples (2nd-grade or 3rd-grade) in order to introduce different kinds of Chinese teas. They are not relative with the teas in our wholesale lists. Chinese teas are not modern standard products. Chinese tea are different with grades and tea production areas. It is one of Chinese Famous Tea, Oolong tea in Fujiang Province. Oolong tea in Fujiang Province. Oolong tea in Fujian Province.